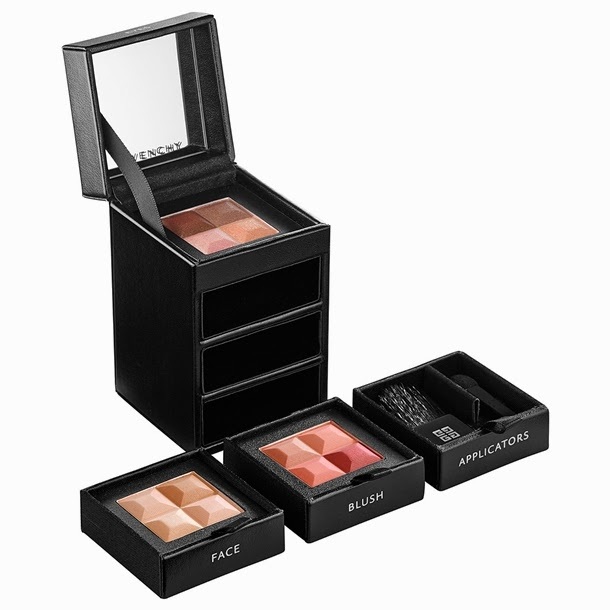 A mini compact box that includes Givenchy makeup must-haves for eyes, face, and cheeks, plus two applicators in universally flattering shades. 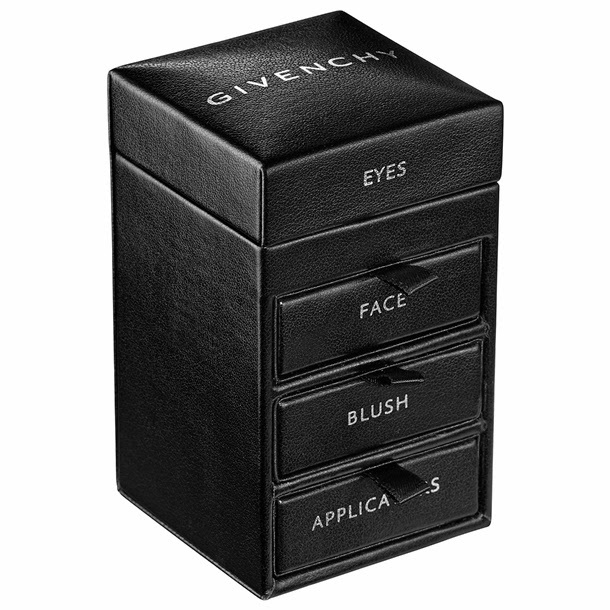 This sophisticated, compact box holds all you need for the ultimate Givenchy style. The Le Prisme Yeux Quator in Purple Show 71 eye shadow quad features extremely soft powders in elegant complementary colors and long-lasting formulas. 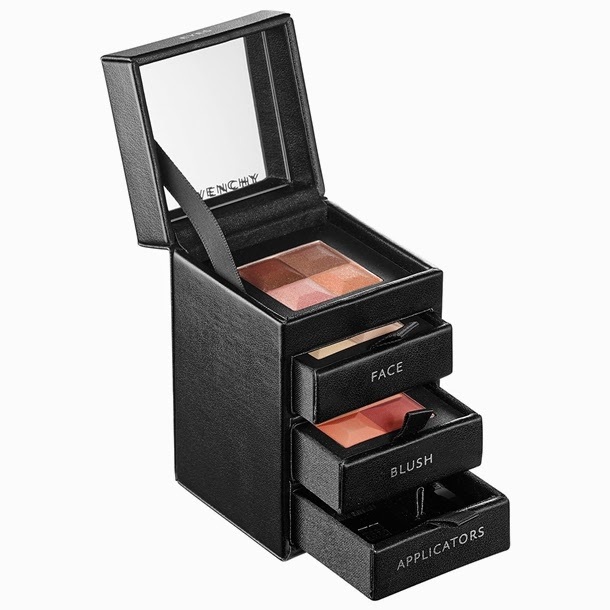 Le Prisme Visage Mat in Beige Mousseline 84 is a unique four-shade face powder with atomized particles that provide flawless radiance and a matte finish. 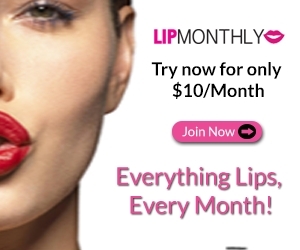 The highly-pigmented Le Prisme Blush quad in Vintage Pink 22 delivers intense color payoff for a youthful-looking glow. The compact case also features a mirror, mini powder brush, and eye shadow applicator for freshening up wherever you go.